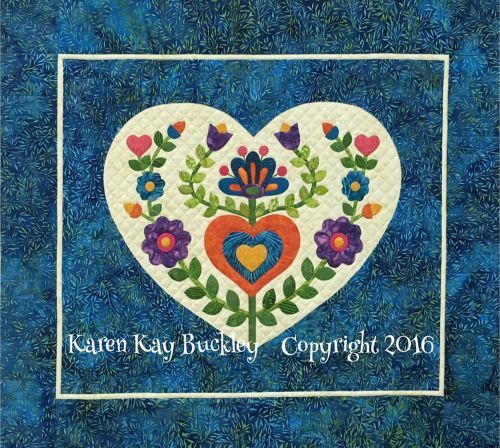 This is a charming machine appliquéd wall quilt. You will learn to make sharp points, smooth curves, perfect circles and even stems. There is a little reverse appliqué for some added fun. The technique I teach is a prepared edge method using an invisible stitch. Come join me for an enjoyable day of machine appliqué. The finished size is approximately 23" x 26"